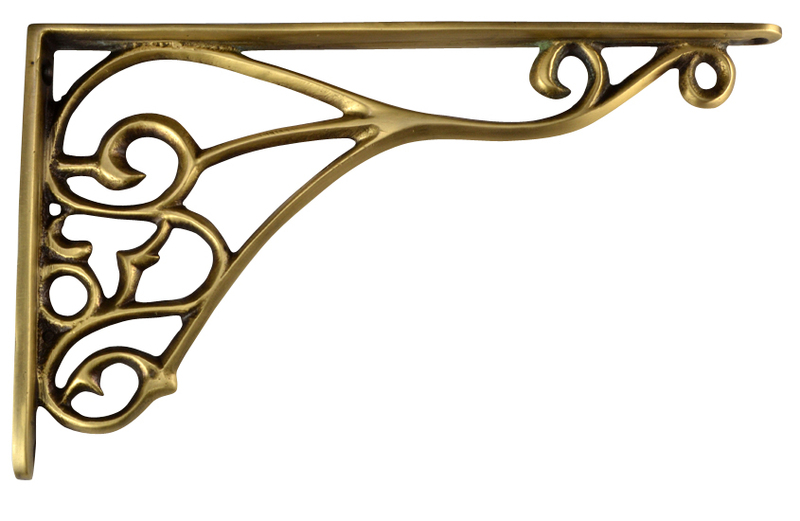 This shelf bracket is finished in a vintage antique brass with a strong heavy cast brass construction. Measures 8 1/2 inches long and 4 7/8 inches tall. Heavy cast brass and the hardware - four machine screws is included.